Tropic tomatoes – Mumma, Did You Know? I remembered to take a photo of the inside of Tropic tomato, one of my last ones left. 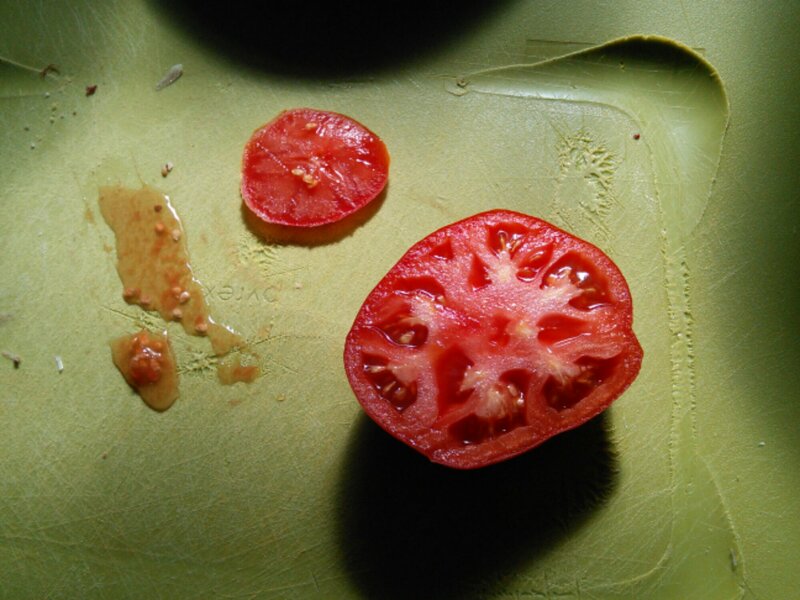 It shows why I like these tomatoes so much. The insides are firm without too many seeds and squish. I have more Tropics growing in the garden at the moment, and I hope they grow well.